The Education Ministry yesterday declared the first day of the national exam a success, noting, however, that the rain caused problems in some areas and that there had been several cases of students falling ill.
“Some students resumed their exam after receiving first-aid from the medical teams,” it noted. 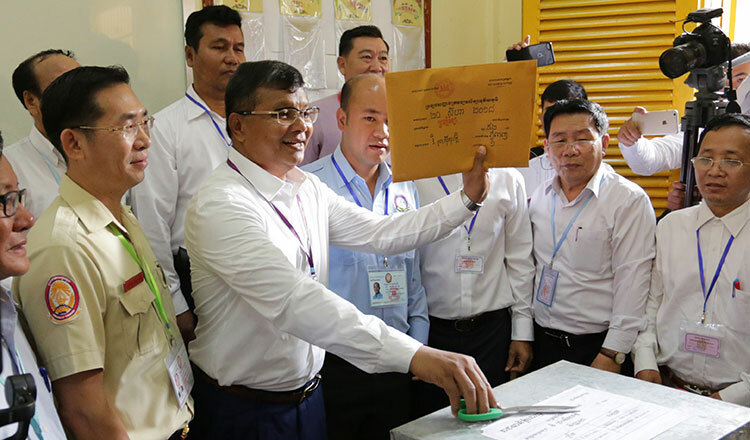 The statement added that it rained heavily at several examination centres in Koh Kong, Kep, Takeo and Kratie provinces, but that this did not affect the exam process. It also said that 115,268 students sat for the national exam yesterday and that there were nearly 2,000 absentees. Four students were expelled after they were caught bringing mobile phones and prohibited documents into exam centres. The statement said 32 students had health problems but continued the exam after receiving first-aid and that two students could not take the exam following traffic accidents. Education Minister Hang Chuon Naron warned yesterday that any student caught copying another’s answers will fail automatically. He said that the exam process was successful because of the support from the prime minister and good cooperation between provincial, municipal and commune authorities and the Anti-Corruption Unit. 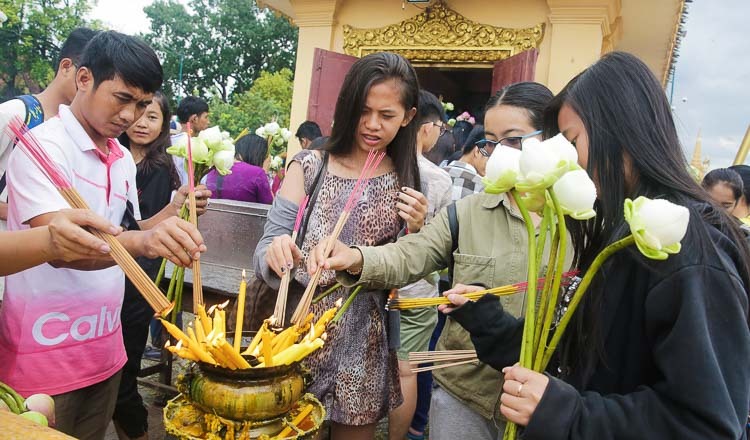 “We had to relocate an exam centre in Kampot province but on the whole the exam went well without any problem,” Mr Chuon Naron said. The ministry on Wednesday said that the exam center at the Kampot provincial Teacher Training Centre, which had 20 examination rooms, had to be moved to Vathana Vichea School due to the recent floods. 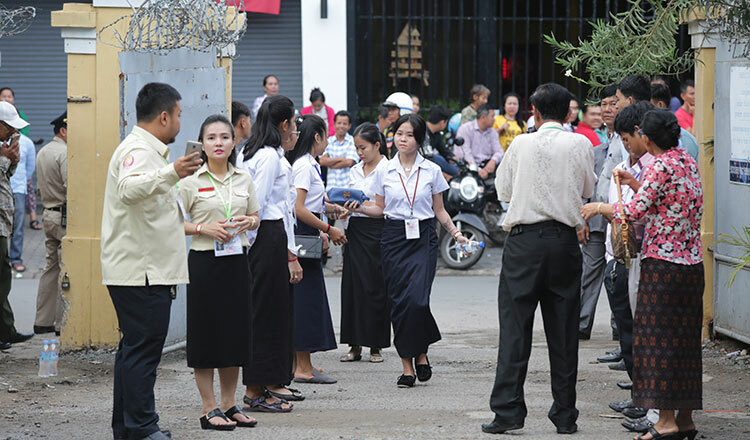 Thong Kosal, a teacher and also an exam monitor at the Preah Yukunthor High School exam centre, said that the first day of the national exam went well without any noticeable incidents in her examination room because most of the students followed the rules and regulations. “Most of them did a great job. They worked hard and prepared well for their exam. It’s great that students didn’t bring any banned documentation into the examination room,” she added.